Friday, February 20, 2015 OMG! This place is amazing! 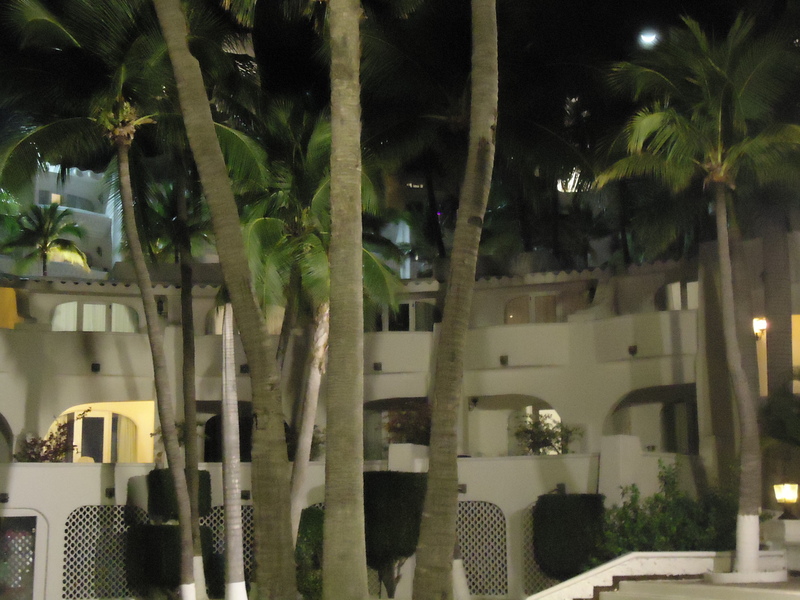 Las Hadas Resort, Manzanillo, Calima, Mexico. 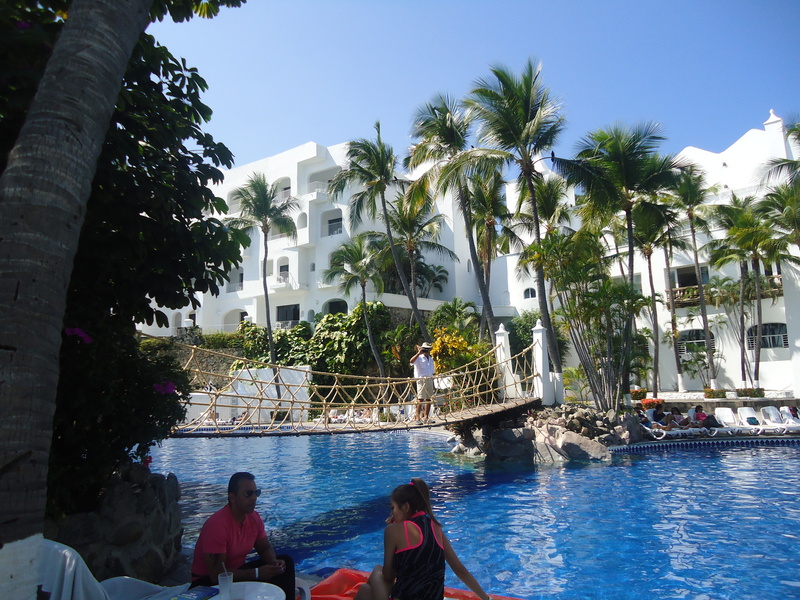 If you are contemplating a completely relaxed, pampered, by-the-pool, tropical Mexican vacation – I suggest you consider Las Hadas Resort in Manzanillo. The pools, the beach, the food, the service and the general atmosphere are to die for. The other cruisers anchored in the bay are particularly nice, too. Our first morning at anchor Ken and Sheri from S/V Cake motored up, hollered for our attention and offered homemade scones. They said they make the rounds each morning to deliver a snack and say Buenas Dias. We paid $15 for the dinghy for the day which gave us full access to the dinghy dock, pools, showers, restaurants, floating bar, laundry, and Wi Fi. A bargain at any price. The anchorage is completely free for as long as we choose to stay. Our dinner which included chips, salsa, margaritas, and shrimp fajitas cost less than $20.00, total. So, if you are willing to sail your boat 3,000 miles to get here, you, too, can hang by the pool for 200 pesos per day. 2 Responses to Friday, February 20, 2015 OMG! Ray and I are enjoying your blog. 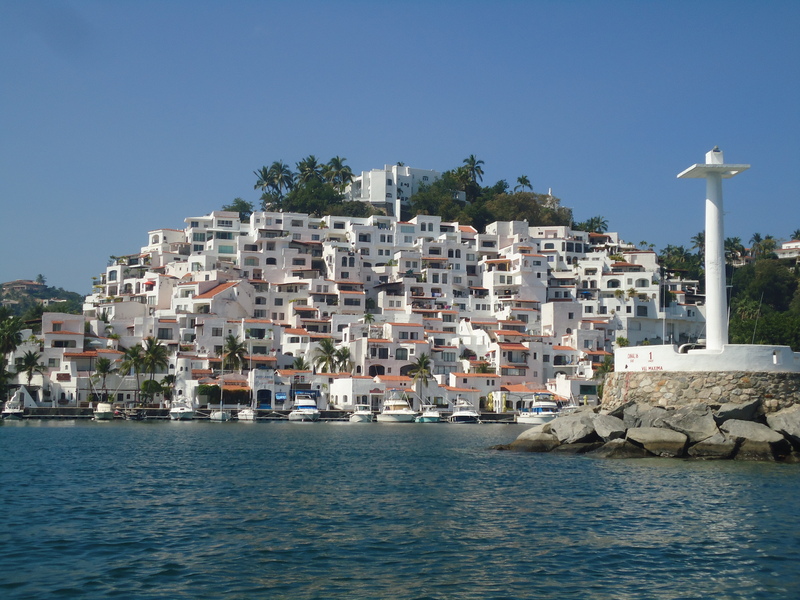 Manzanillo is where I go every year. I love it there! Go downtown Sunday night. There is a fabulous celebration every Sunday night with local dance, art, food and music. 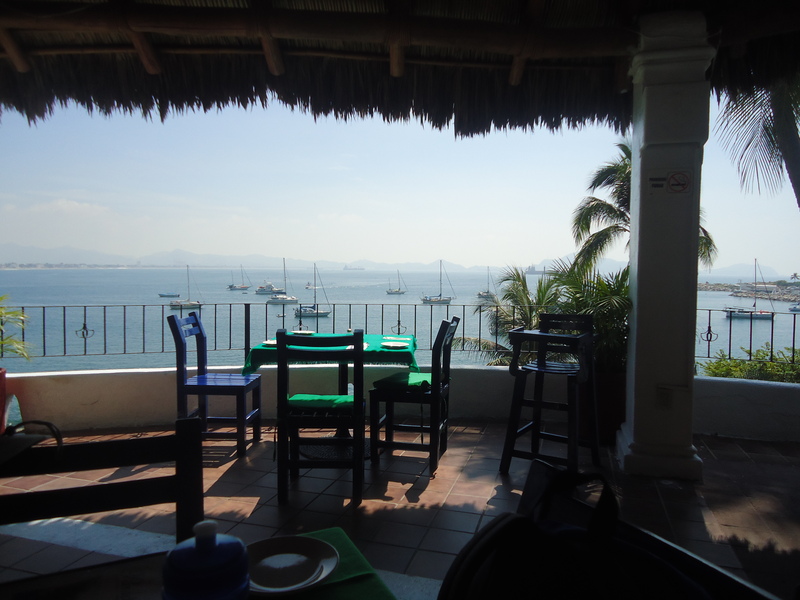 We have a view of Las Hadas from where we stay, beautiful, Enjoy! Having my morning coffee at my desk…boring! Mike gets home from Hawaii at 10:30 so I’m scrambling to make it look like I’ve been busy since he’s been gone!